2. Soothes your eyes with the refreshing & cooling sensation. 3. Effective in brightening eyes area. 4. 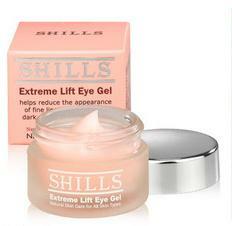 Very moisturizing & hydrating to eyes as it contains collagen & moisturizing elements. 5. Prevents dryness & wrinkles. 7. Tightens skin area around eyes. 1. Shake the bottle gently & the essence will be out. 2. For best effects, use it every day & night. 3. Should allergies arise during usage, stop using & consult a doctor immediately. 2. Lifts up skin area around the eyes. 3. Tightens up skin area around eyes. 4. Increase elasticity & tenderness of skin area arounf eyes. 5. Lightens dark eye circles and prevent dullness. 6. Extra moisturizing as it contains high amount of moisturizing elements. 7. Able to lock moisture & essence within skin. 8. Has a refreshing sensation when used. 9. Better effects if you massage when you are applying it. 1. Please do not apply it on wounds or abnormal skin. 2. If allergies arise during usage, stop using & consult a doctor immediately. 3. Store it in a place without direct sunlight. 2. Firms up the delicate eye area. 3. Brightens up eye area. 1. Apply every day & night. 2. Every usage should be just a size of a grain of rice or a little more. 3. Pat gently around the eye area until the essence is fully absorbed. -Provides non-stop moisture levels to your skin, regain bright looking eyes. -Prevents the formation of dark eye circles and wrinkles around the eye area. -Contains an advance formulation of Blue-green Algae extract, which repairs skin. -Sooth your tired eyes instantly with this moisturizing eye gel. -Broom and Mallow extract helps lighten dark circles, reduce puffiness, fine lines, and firms up skin preventing loosening. -Water base gel prevents formation of oil granules.